Renting out a property can be a lucrative investment, but it can also come with a lot of costly problems for a landlord if they end up with the wrong tenants. Rent arrears, broken tenancy agreements and property damage are just some of the reasons a landlord may feel the need to evict a tenant that turns out to be a bad apple. Unfortunately, the property law which dictates what a landlord must do to get tenants out can be costly, time consuming, and confusing. According to the latest survey by the National Landlords Association of its members, 45% of landlords dealt with cases of arrears over the last 12 months and a typical portfolio landlord has four tenants that are in arrears with an average £2,326 owed. Falling behind with payments can pose big problems to landlords who use the money to keep up with mortgage repayments and if this situation persists there is a risk of repossession. So what can you do if you are a landlord faced with problem tenants? The first step if a tenant is late with the rent or stops paying altogether is to discuss what is happening and attempt to reach an arrangement. According to the latest Tenant Arrears Tracker by Templeton LPA there were on average 94,000 tenants in England and Wales in severe arrears in the first three month of 2012. Clearly large numbers of renters are struggling to pay the bills. The rising cost of living or a recent job loss may be knocking a tenant’s ability to keep up with rent payments. Chris Norris, Head of Policy at the National Landlords Association, suggests landlords work with their tenants to come to a short-term solution such as reduced rent or a repayment plan making sure to keep a written record of anything agreed. Landlords could also help by advising tenants of any benefits they may be entitled to, given their situation. Getting to the root of the problem could be less stressful than starting legal action but landlords may not be able to allow such leeway for a long time based on their own deteriorating situation. If your tenants don’t sort out their financial difficulties and continue to miss rent payments, you will be entitled to bring legal action against them to remove them from the property. In order to get the process underway you will need to serve one of two notices under the Housing Act 1988. If your tenants are still within the fixed term of their Assured Shorthold Tenancy (AST) agreement (typically between six and 12 months) then you need to serve them with a Section 8 notice which deals with breaches of contract. To serve these papers a landlord must have good reason like continually late rent payments, non-payment, or generally breaking the terms of the tenancy (like sub-letting). These are called grounds and there are 17 you could use. Citing a few may give you a stronger case should this come to court. Ground 8 for example relates to rent arrears. This section states that a Section 8 notice can only be served to tenants once a certain amount is unpaid which is determined by the cycle they normally pay the rent (i.e. weekly, monthly, bi-annually, yearly). So if rent is usually paid monthly at least two months’ rent needs to be owed before the notice can be issued.The average rent in the UK is currently around £712 so this means a landlord must be owed at least £1,424 on average before being able to seek help. Depending on the grounds used to serve the tenants you need to give a certain period of notice before starting court action, which is usually either two weeks or two months. If successful this route can give a landlord a possession order plus a money order to get the rent owed. 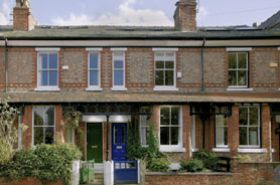 The other option for landlords is the Section 21 notice which entitles a landlord to take back possession of a property at the end of a fixed term agreement or during the periodic tenancy (where the contract has not been renewed but the tenant still remains living the property on a rolling contract). You don’t need to state any reason, but must give two months’ notice. You can serve a section 21 notice at any time during the fixed tenancy or periodic tenancy, but it does not take effect until the fixed term of an agreement has come to an end and two months’ notice has been given. That could mean an agonising wait if tenants have a 12 month agreement and have acted up at the beginning of the term. A Section 8 notice may be more appropriate here. Once a landlord has served a valid Section 21 notice or Section 8 notice, they can apply to the court to start proceedings as soon as the notice expires. The tenant is not required to vacate the property until there is a court order requiring them to do so. But should the courts rule in your favour you are well on your way. What if they don’t leave? The final hurdle faced by landlords who try to do things properly is when tenants just won’t leave. Even when served with a possession order from a court some tenants refuse to move on. If this is the case when the notice of possession expires, you can serve them with a notice to seek possession which means you will be going to the courts to get them evicted. Finally if the courts again decide in your favour they will provide a date for the tenants to vacate the property by and this can be the time you call on the bailiffs for help. As you can see, getting tenants evicted can be a lengthy process (sometimes three to six months) that is delayed by incorrect paperwork or even tenants fighting back. For some this may be too much to bear alone, but there are numerous companies that can help do all the groundwork so you don’t have to. This will cost you somewhere in the region of £1,000, which will get the required notices served, a court hearing for a possession order and should it be necessary pay for the bailiffs to come in. For me this seems like a small price to pay to ensure you regain possession of the property but if you have a large portfolio then it makes sense to try and figure out the procedures for yourself to prepare for any more future problems!